The Douglas Students’ Union offers a number of print, fax & computing services at the Students’ Union Building. 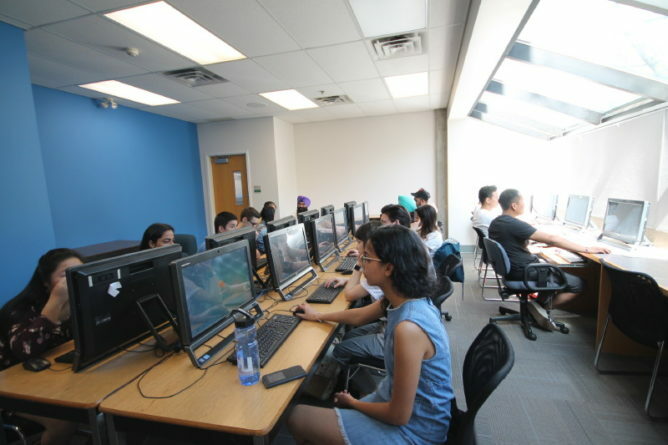 Printing: These computers are linked to your Douglas College account. We offer local and long distance fax at both New West and Coquitlam. We offer black and white and colour printing at both campuses. Please see the DSU Front Desk at New West and the DSU Kiosk at Coquitlam. We offer large format printing in 36″ & 42″. Cost varies depending on size of the print. Please note that large format printing requires 72 business hours between submission & pick up. Banner printing starts at $25 per print. Please email info@thedsu.ca to get an accurate cost. Is there a banner print template? Please email info@thedsu.ca for a banner print template. We can only accept large banner print documents in PDF. Submit your large format banner print document here. Please note we can only accept PDFs.